Receiving ultrasound after surgery to repair a fractured tibia (shinbone) does not accelerate healing or improve functional recovery compared with sham treatment, finds a trial of US patients published by The BMJ. Tibial fractures are the most common long bone fracture. 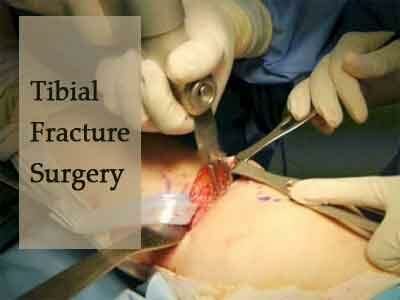 They heal slowly and often further surgery is needed to stimulate or accelerate the healing process. These complications are debilitating for patients and expensive for health systems. As such, tibial fractures have been a prime target for numerous interventions to aid recovery. Low intensity pulsed ultra sonography (LIPUS) was approved for fracture healing by the US Food and Drug Administration (FDA) in 1994 and is now widely used to promote fracture healing in North America. But previous trials investigating its effectiveness have had inconclusive results. To try to resolve this uncertainty, researchers based in Canada and the USA conducted a randomised controlled trial to compare fracture healing and functional recovery in patients using either real or sham ultrasound. A randomised controlled trial is the gold standard for determining whether an intervention actually has the desired effect. The trial involved 501 US adults who underwent surgery for a tibial fracture at 43 North American academic trauma centers between October 2008 and September 2012. The main (primary) outcome was time to fracture healing over one year, assessed with radiographs (known as radiographic healing). Other outcomes included important functional and quality of life measures reported by patients, such as return to work and leisure activities, and time to full weight bearing. Each patient received a device to use once a day for 20 minutes at home until their surgeon determined that their fracture showed radiographic healing or until the 52 week follow-up visit, whichever occurred first. Active and sham devices had the same visual, tactile, and auditory signals and were therefore indistinguishable. The researchers found no significant differences between groups for any outcome. They point to some study limitations, but say these are unlikely to have biased their results. “Addition of LIPUS to usual care for patients with fracture failed to accelerate radiographic healing or improve function,” they conclude. In a linked editorial, Xavier Griffin, Associate Professor of Trauma Surgery at the University of Oxford, says we now have sound evidence that LIPUS doesn’t work. He discusses some issues with trial design that meant some participants were unable to fully complete the follow-up schedule. “Fortunately for patients, clinicians, and future clinical guideline groups, the results were eventually clear, despite the influence of outside agencies,” he adds.